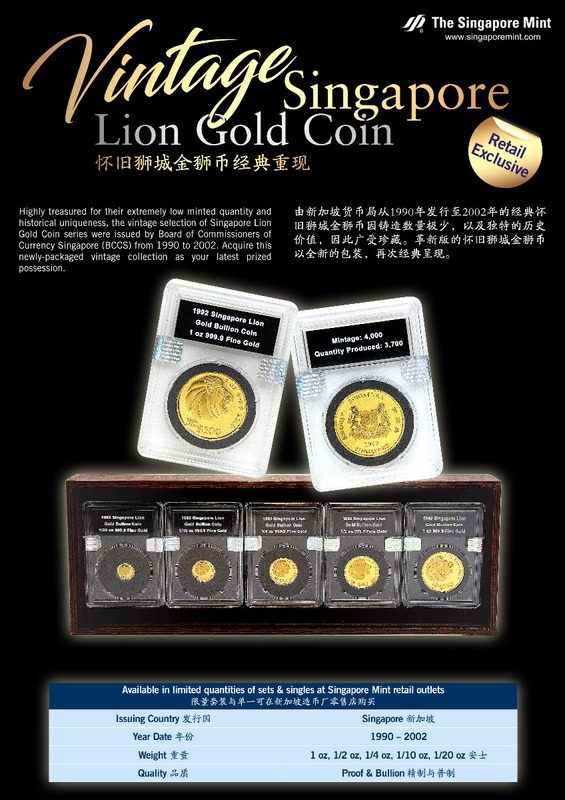 A vintage selection of the Singapore Lion Gold Coin series in various year dates, size and quality, highly treasured for their extremely low minted quantity produced and historical uniqueness, are available at all retail outlets for sale. Acquire this newly-packaged vintage collection as your latest prized possession. 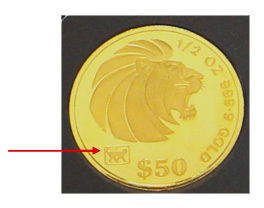 The Singapore Lion Gold Coin series are issued by Board of Commissioners of Currency Singapore (BCCS) from 1990 to 2002. Board of Commissioners of Currency Singapore (BCCS) is the predecessor of Monetary Authority of Singapore (MAS). The majestic roaring lion head of the Singapore Lion Gold Coin series, symbolize Singapore’s spirit of courage, vitality and strength. The 12 years which the Gold coin series were issued, is not in-line with Singapore’s commemorative almanac coin series (1st series: 1981-1992; 2nd series: 1993-2004; 3rd series: 2005-2016). An almanac animal is depicted starting from 1991 onwards. It can be found on proof & bullion coins for all the coin sizes from 1oz – 1/20oz. Only 1990 gold coins year date do not have the almanac animal depiction.